Capable of repairing almost anything FANUC produces, and with a vast array of exchange parts on its shelves, the FANUC Repair Center is dedicated to getting your machines up and running again as quickly as possible. Offering centralised OEM repair services, the Center is strategically located in Luxembourg to minimize transport times across Europe. 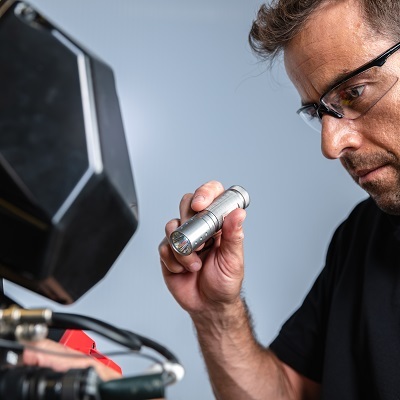 To ensure fast turnarounds and guarantee 24-hour repairs, it carries a full parts inventory and has all the latest test equipment at its disposal. To initiate repairs and keep your downtime to an absolute bare minimum just contact your local FANUC service office. FANUC machines have a reputation for reliability and longevity. 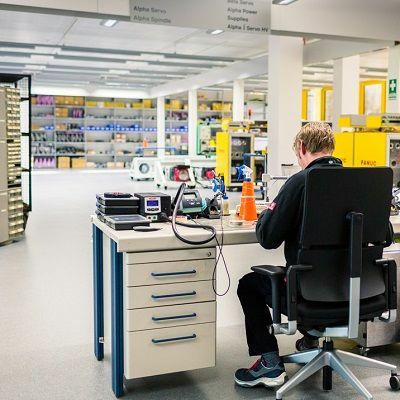 To help keep them producing for as long as possible, the FANUC Service Center offers a full-repair management service backed by unrivalled parts repair, even for parts older than 30 years. Many parts are available on exchange basis, with other services including full inspection, complete overhaul and refurbishment, software revisions and updates, washing and painting as well as preventative checks – all ISO certified and backed by a 12-month FANUC warranty. 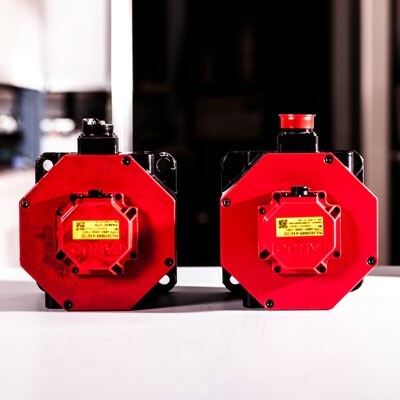 Whether it’s servo or spindle motors, back EMF test, brake unit exchange or cleaning and painting, the FANUC Repair Center’s team of dedicated specialists offer a full range of motor repair services. 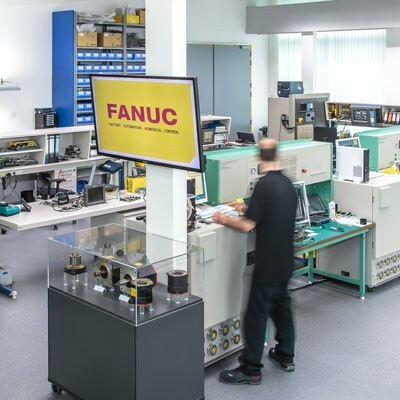 Offering everything from complete refurbishment to drive repair services, the FANUC Repair Center is home to unrivalled expertise in servo and spindle drives, power supply units and robot six-axis drives. Even for units older than 30 years. All testing is done using original FANUC motors and CNCs. Refurbished units leave the Center with the same lifespan as new ones. Intelligent electronics are at the heart of today’s automation solutions. 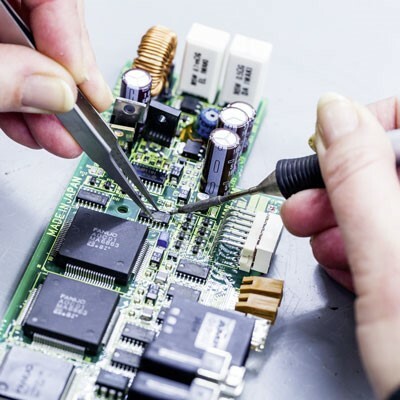 Whether it’s printed circuit boards (PCBs), CNCs or robot controllers, the FANUC Repair Center offers a full spectrum of board testing, diagnosis and repair services. Depending on the application, accessories can be essential to maximising efficiency. 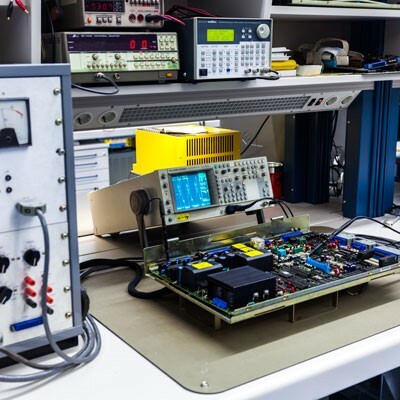 Offering a complete service backed by direct support from Japan and all the latest test equipment, the FANUC Repair Center offers unrivalled expertise in teach pendants, LCD units, operator panels and I/O boards. 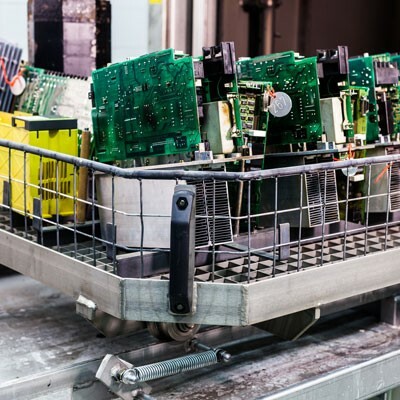 To get you back up and running as quickly as possible, the FANUC Repair Center has a huge selection of components available on an exchange basis. Ready for immediate delivery, these refurbished parts are normally with you in under 24 hours. Equipped with original FANUC test benches and staffed by Japan-trained technicians who know our products inside out, the FANUC Repair Center is your one-stop destination for all your FANUC repair, exchange and refurbishment needs. The latest software updates, original FANUC motors and CNCs, full functionality testing and CE Mark approved safety testing – we do it all.